Rate this Article Farm games have always been popular on Facebook, but since the boom in the mobile games platform, many excellent farm games have popped up on Android as well. Here are some of best ones! Simulation games are presently one of the most popular games in the world. Be it for Android users or for iPhone users, they are easy to play, and the controls are easy to use on touch screens. If you find a game interesting, it can keep you busy for hours, if not days. So, if you are looking for some free farm simulation games on Android, here is the top list for you! If you want to learn then tricks of farming without getting your hands dirty, Let’s Farm is an ideal choice for you. In this game, you are the sole owner and worker of your farm. So, you get to sow seeds, build houses for the farm workers, produce goods and make your farm flourish properly. Just like in a real farm, you can also sell your produce to earn gold coins. These gold coins can be used to buy new harvest. With advancement in each level, you have a chance to check out the different types of crops. You also get to produce silk, wool and other costly items. If you love the idea of caring and sharing, then this Android game allows you to play with your Facebook friends. This way, you can invite your friends and exchange gifts, and move up the levels. This is yet another farm simulation game on Android, which allows you to plant crops and harvest them. Additionally, you get to visit your neighbors and watch their crops grow easily. 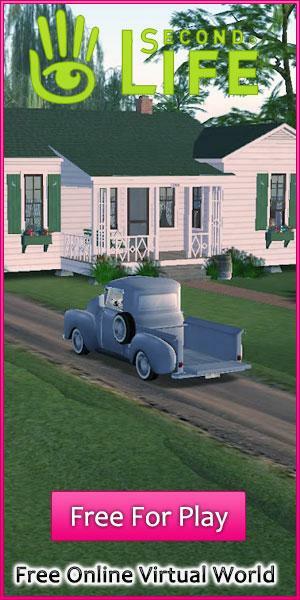 You have the option of designing your farm with fences, buildings and animals of your choice. You also get to choose from 150 varieties of plant seeds to sow. Farm Story comes with a 3D gameplay version, and it also has its successor in Farm Story 2. Early users of Facebook will remember a phase when Zyanga’s Farmville was all the rage. Zyanga’s games have been popular since its inception, and a couple of years ago, Facebook users were crazy over FarmVille part one. So now Zyanga has provided its followers with a new mobile – optimized farming game titled FarmVille 2: County Escape. In this latest version, users can play without connecting to Facebook, and at their own pace, even in offline mode. One of the interesting features of FarmVille 2: County Escape is the farming Co – Op, which allows players to trade, share and go on farm adventures to collect rare items. Hay Day, developed by Supercell, has been the fourth most popular game depending on the revenue earned. The game revolves around the storyline of farming, in which the player’s uncle cannot manage his farm, and steps down. The player the takes up the game and is free to get creative and plant new crops. The players can also form “neighborhoods”, just like clans in Clash of Clans, a popular game of Supercell. Green Farm 3 also starts with an inheritance from an uncle. However, it is different from Hay Day because players inherit an old manor, and have to complete a set number of missions to restore the manor to its former glory. In addition, players would also have to manage the farm to become a famous farmer in the process. Friends and neighbors of the players would help them achieve that easily. The game comes with easier control and a great storyline to entice the players easily. Additionally, the concept of challenges makes it interesting for players, and helps them to remain in focus. All in all, if you are bored with farm games, and want a mix of adventure with farming, then this is the game you can opt for. In Farm Clan: Farm Life Adventure, you as the player, are responsible for catering to the needs of the villagers and keeping them happy. You can not only plant trees, and care for them, but also go fishing. You can choose your own village layout and invite your friends along to accompany you in the journey. The positive part of the game is perhaps its interface and the way it allows you to set up your village. On the not – so – positive part, you need to opt for in – game purchases to enjoy full gameplay and additional bonuses. The game is available in 12 languages including the Polish, Japanese, Korean and Brazilian. If you are a fan of the middle ages, then this could be the perfect farming game for you. The Village and Farm game works almost like the other farming simulation games on Android. However, what is different is its interface. The game also comes with unique challenges for you to complete. Additionally, you can trade with farmers globally, and have friendly neighbors with you. My Free Farm 2 allows you with the opportunity to cultivate your fields and care for cuddly farm animals. You can also process the produce of the farm to create hand – crafted products. One of the key ways in which the game is different from others is its 3D farm setting. You can decorate your farm, build buildings for protection and make virtual friends. The game comes with interesting user interface and intuitive game controls and story quests for players to complete. My Free Farm 2 is free to play, but you can opt for in – game purchases for faster advancement. So, now that you know about these interesting yet free android games, it’s time to start cultivating your skills as a farmer. All you need is an Android device to experience these games.